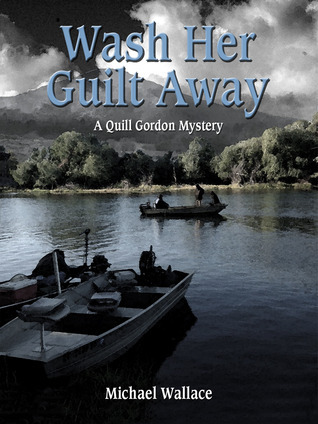 The second 'Quill Gordon Mystery' from author Michael Wallace. A 'fishing mystery' where fishing is an element of the supporting story, one will like it better if they fish. The story starts a bit slower than some mysteries, but as a fisherman, carries well becuase of that element.I would have liked a bit more 'charcater development' for Quill Gordon, but overall still a very gratifying, relaxing read. Just left me flat.Great read to learn about fly fishing. The mystery is good but doesn't take up enough of the book. I've read other works by this author that were better. Not as good as the first book. Took too long to set up the murder gave up on this book half way. Too many good fly fishing mysteries to waste any more time on this one. Michael Wallace - Michael Wallace is a native and lifelong resident of California, who has been reading mysteries since the age of 12 and fly-fishing for more than 30 years. He worked as a reporter and editor for a daily newspaper for two decades and currently is owner and principal of a public relations/publication consulting business. The McHenry Inheritance is his first published mystery, and a second, again featuring Quill Gordon, is under way.